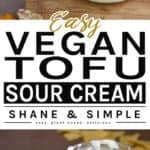 This Easy Vegan Tofu Sour Cream is an awesome dairy-free alternative to regular sour cream. 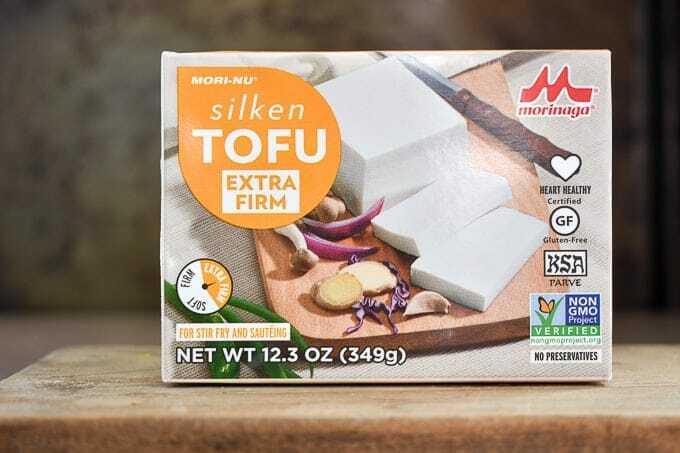 It’s made with Mori-Nu Extra Firm Silken Tofu. Easy to make, low-fat, rich, creamy and delicious. 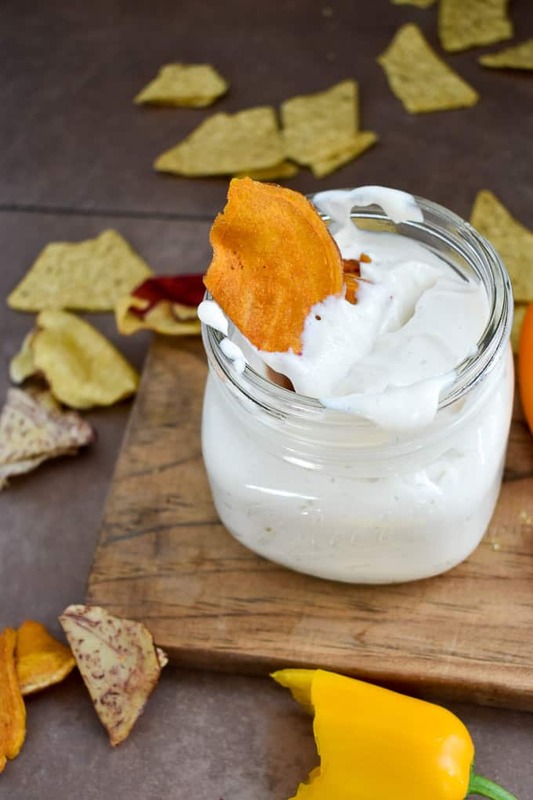 You can add a little Nutritional Yeast for a “cheesy” sour cream. Maybe a little dill for more of a ranch flavor. If you want to spice things up, throw in a little adobo sauce from a can of chipotle peppers. Hoochie Mama! 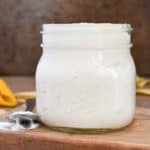 This recipe takes less than five minutes to make and is a great condiment to keep on hand. Feel free to tweak the lemon juice, vinegar, and salt to your own taste. And, it will keep in the fridge for several days. Want more toppings, condiments and sauces? 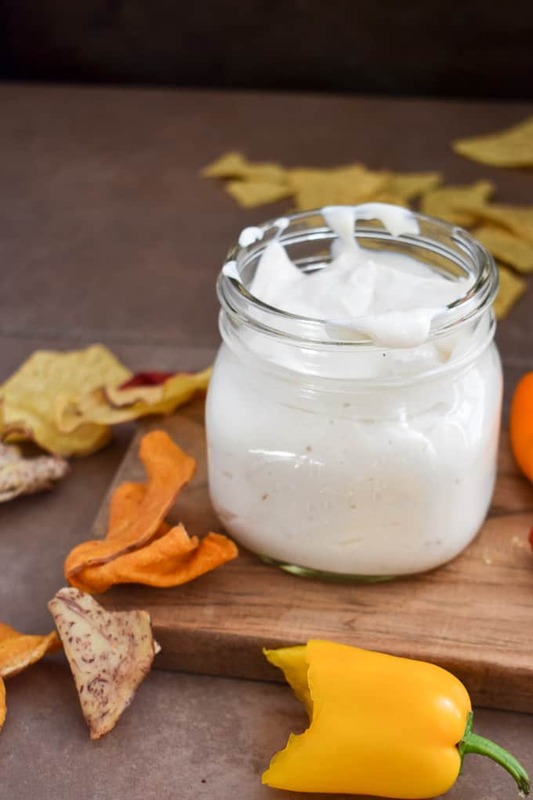 Try my Cashew Sour Cream, Creamy Rich Cashew Mayo, Peanut Dipping Sauce, and delicious Game Day Cheese Dip! Use this incredible little condiment on a baked potato with my Vegan Bacon Bits. It’s truly wonderful! It’s also great as a low-fat option in my Creamy Mashed Potatoes! OMG…so close to the real thing. Thank you! I’ve got some firm tofu (not silken)…..Will that work in this recipe? It will work, but will not be as smooth and creamy as silken. But, I have used it before. The taste is still there.